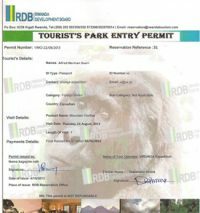 The 13 Days Gorilla Trekking Safari Rwanda Wildlife Tour Uganda is a Rwanda Gorilla Tracking Tour and Uganda wildlife safari to the prime safari destinations of the two countries. On a 13 days Uganda-Rwanda safari you tour and have an encounter of the beautiful wild at Lake Mburo National Park, Queen Elizabeth National Park and Lake Bunyonyi in Uganda. In Rwanda, you visit Volcanoes National Park, Nyungwe Forest National Park and Akagera National Park. Arriving at Entebbe international airport in Uganda and departing via Kigali International Airport, your safari starts from Uganda with a drive from the airport to a booked hotel in Kampala-Uganda’s capital. The next day you are driven to Lake Mburo National Park where you have a boat cruise and nature walk then continue to Queen Elizabeth park for a game drive and boat cruise then after go to Lake Bunyonyi. From Lake Bunyonyi you are driven to Rwanda’s Volcanoes national park where you undertake Mountain Gorilla and golden monkey trekking then after continue to Nyungwe Forest National Park for a canopy walk and chimpanzee trekking. You then continue to Akagera National Park for wildlife sightings. You later on depart via Kigali international airport in Rwanda. DAY 1: You arrive at Entebbe international airport where you meet a professional driver guide for a drive to a booked hotel or lodge in Kampala. DAY 2: After breakfast, you take a drive to Lake Mburo National Park for an evening game drive with a stop at the equator line. DAY 3: In the morning, you go for a morning nature walk in Lake Mburo National Park and undertake an evening boat cruise. DAY 4: You have morning breakfast then transfer to Queen Elizabeth National Park where you undertake an evening game drive. DAY 5: You undertake a morning game drive in the Kasenyi sector of Queen Elizabeth then undertake an evening launch trip on the 45km long Kazinga channel that joins lakes Albert and Edward. DAY 7: You have relaxed breakfast at the shores of lake Bunyonyi then after transfer to Volcanoes National Park in Rwanda. DAY 8: After breakfast, you are driven to Volcanoes National Park where you go gorilla trekking lasting about 2-6hours. 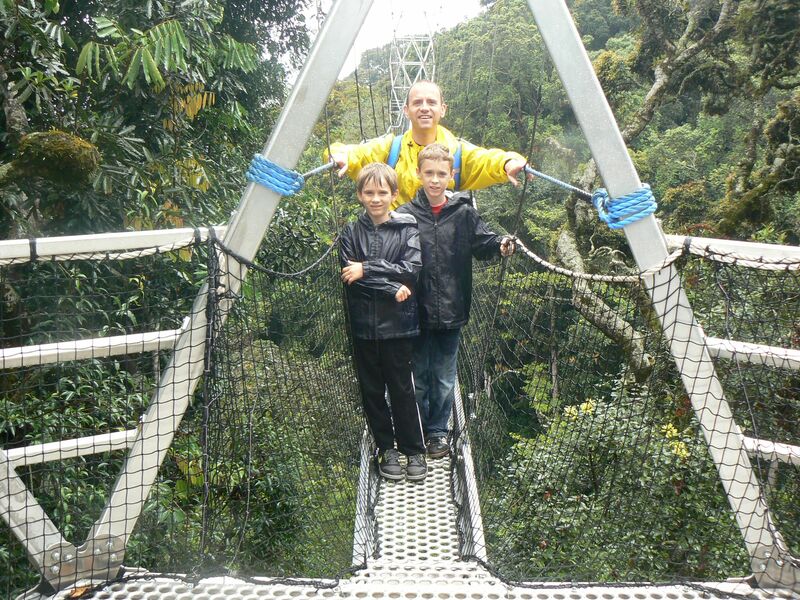 DAY 9: This morning, you go for golden monkey trekking then after transfer to Nyungwe Forest National Park. DAY 10: You go for chimpanzee trekking in the morning then after undertake an evening canopy walk. 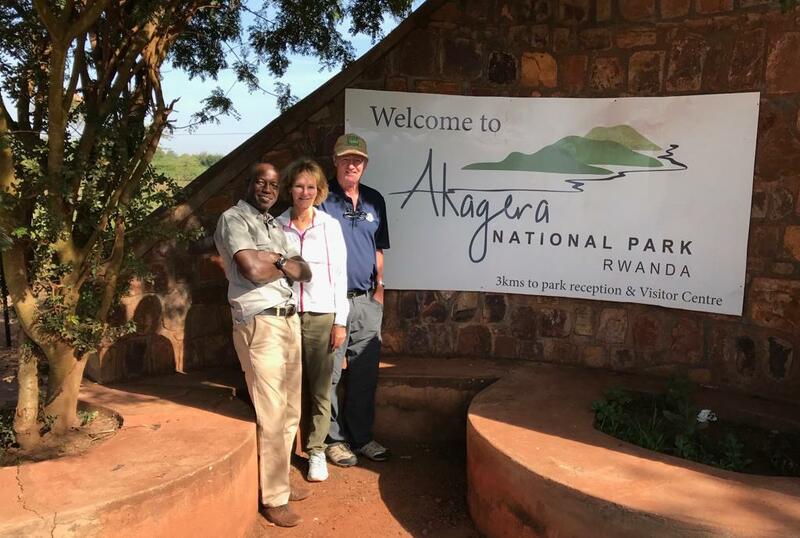 DAY 11: From Nyungwe Forest National Park, you are then transferred to Akagera National Park arriving in the evening then relax at a booked lodging facility close to the park. DAY 12: You go for a morning game drive at Akagera National Park then undertake an evening boat cruise at lake Ihema. DAY 13: After breakfast, you are driven to Kigali international airport for a departure flight via Kigali city. 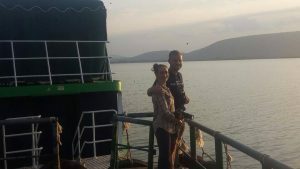 On arrival for your awaited trip at the shores of Lake Victoria at Entebbe international airport, you will meet a Uganda wildlife safari guide who welcomes you and gives a hand in transfer to your safari vehicle. With a briefing on the whole trip you transfer to a hotel/lodge in Kampala. Upon arrival at the lodge, you check in, relax, have dinner and spend the night as you rest from jet lag and prepare to start the road trip to the countryside the next morning. Your professional safari driver guide will pick you up from your hotel or place of residence as early as 7:00am for a road trip to Lake Mburo National Park. After an 80km drive from Kampala, you will have stop at the equator line in Kayabwe for a zero-latitude experience and photography. 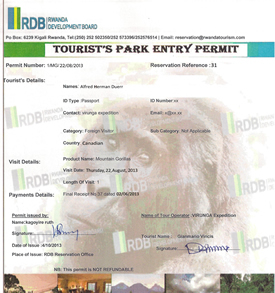 This will last maximally one hour according to your interests and thereafter proceed to Lake Mburo National Park. Upon arrival, you will check in to your accommodation facility, have lunch and then after go to the park headquarters for an evening game drive at 4:00pm. The game drive lasts about 2-4hours then after return for dinner an overnight stay at an accommodation in Lake Mburo National Park. A cup of African coffee starts your day then after you take a morning nature walk with a ranger guide within Lake Mburo Park. The park hosts calm animals and the best safari destination in Uganda for a walk in the wild. You have lunch and then undertake an evening boat cruise on Lake Mburo. You then take a late evening game drive en route to your lodging facility where you spend the night. In the morning, you have breakfast at your lodge at Lake Mburo National Park then you are driven to Queen Elizabeth National Park. On arrival at Queen Elizabeth National Park, your driver guide will transfer you to an accommodation in Queen Elizabeth National Park where you check in and have refreshment. In the evening, you go for an evening game drive where you sight several wild species with possible sightings of lions, kobs, Antelopes and many more. You later then return to your lodging facility where you spend the night. By 7:00am, you will be in Queen Elizabeth park for a morning game drive that lasts about 2-4 hours. After the game drive, depending on your lodging facility, you will return to your lodging facility for refreshment and have a meal or have picnic lunch then after go for an evening boat cruise. The launch cruise is undertaken on the 45km long kazinga channel that joins lakes Edward and George home to the largest concentration of Hippos in Africa. You return to your lodging facility where you spend the night. In the morning, you have relaxed breakfast then after embark on a drive to Lake Bunyonyi for an amazing adventure. You arrive in the afternoon, have lunch at a booked accommodation in lake Bunyonyi. After then, you have a canoe ride to the historical punishment island on Africa’s deepest lake. Along with a local guide, you have a moment to listen to the tales of the island. In the evening, you spend the night at your booked accommodation. In the morning after this adventure experience and probably the last Uganda safari activity, you check out then embark on a drive past the Uganda-Rwanda border to Volcanoes National Park in Rwanda. You spend a night at an accommodation close to the national park. After breakfast at your accommodation in Volcanoes National Park, you are transferred to the park for gorilla trekking. Your Rwanda gorilla trekking safari experience starts with briefing at 8:00am by the park rangers on the Rwanda gorilla trekking etiquette. You then get into the jungle alongside 7 other trekkers and an armed park ranger where you spend about 2-6hours in the jungle and a single hour in the presence of the gentle mountain gorillas. You return to the trek start point where you meet your driver guide for a drive back to your lodging facility for relaxation. Again, this day be ready to return to Volcanoes National Park where you go for golden monkey trekking. In the whole of Rwanda, this is the only safari park where mountain gorillas co-exist with golden monkeys and only 2 destinations in the whole of the world the other being Mgahinga Gorilla National Park in Uganda. You trek golden monkeys for about 2-4hours then after be driven to Nyungwe Forest National Park on a 273km drive taking about 5-6hours. Arriving in the evening, you check in and spend the night at a booked accommodation in Nyungwe Forest National Park. Waking up on the other side of the beautiful land of a thousand hills, expect to wake up early and get ready for a drive to Nyungwe Forest Park for chimpanzee trekking on this Rwanda wildlife safari. Chimpanzee trekking starts at 8:00am as you go in search of man’s closest relatives alongside a park ranger spending about 2-4hours. 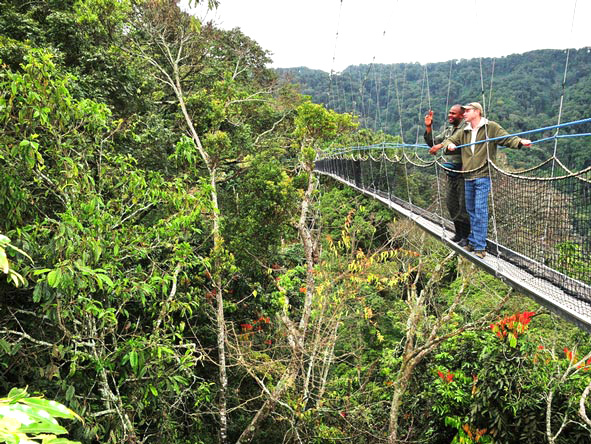 After the trek you have lunch then go for a canopy walk which is found only in this park in the country. 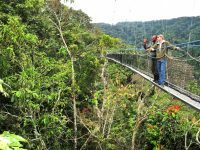 The canopy walk is not an ordinary walk however a walk on a suspended bridge 170m high and 2km long on top of a tropical forest. Here you not only enjoy the fresh air but also sight several bird species for about 2 hours. In the evening, you are driven to your lodging facility where you spend the night. From a lodging facility at Nyungwe Forest National Park, you have breakfast then after embark on a drive to Akagera National Park. This is a 7-8hours drive taking you 349km within the land of a thousand hills. Driving past beautiful landscapes you arrive in the evening for a night stay at a booked accommodation in Akagera National Park. You wake up early morning for a cup of hot coffee then after embark on a drive by your driver guide to Akagera park for a wild game drive that brings you up close to the big five wild animals. Meeting the early risers, you have chance to sight antelopes, giraffes, Elephants, Buffalos, bush bucks among many others. After about 2-4 hours on the drive, you go for lunch at your lodging facility or have picnic lunch. Thereafter, you take an afternoon boat cruise on Lake Ihema, where you are rewarded with sight of wildlife like the hippos, crocodiles alongside numerous bird species. In the evening after the boat cruise, you are driven back to your lodging facility where you spend the night. After breakfast, you check out of your lodging facility and be driven to Kigali town where you undertake a short city tour on a visit to the genocide memorial center. You can also do some shopping in case you need some crafts before your driver guide takes you to Kigali international airport for a departure flight.